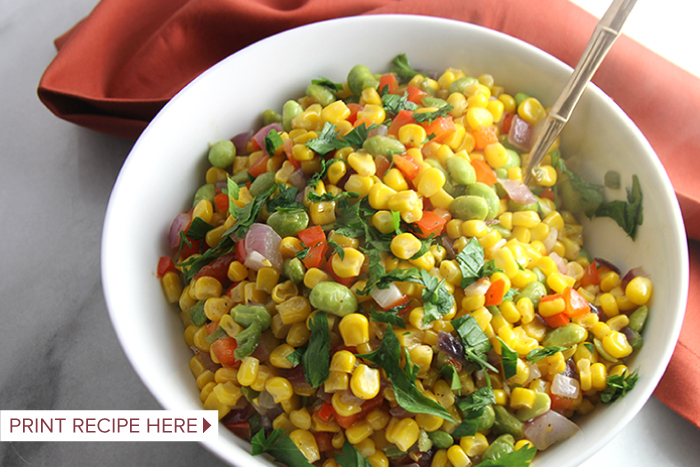 Some form of succotash is thought to have been eaten at the very first Thanksgiving, so it’s only fitting that it be part of today’s tradition. 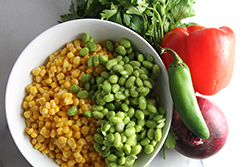 The word “succotash” is translated from a Native American word that means “broken corn kernels.” Traditionally, succotash is made of both corn and a legume (like lima beans). We decided to freshen the formula with edamame and a spicy kick from fresh jalapeño peppers. We love how easy this recipe is, and how it can quickly come together on the stovetop while you are making the gravy and carving the bird. 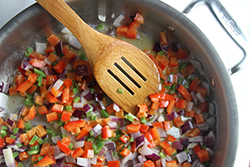 (1) In a large 3 quart sauté pan, heat the butter and olive oil over medium-high heat. 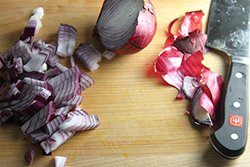 Sauté the onion, jalapeño, red pepper for about 5 minutes, or until the onion starts to become translucent. 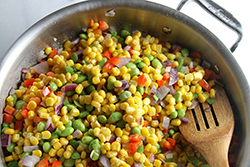 (2) Add the corn and edamame, and sauté until cooked. 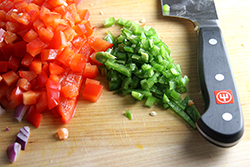 Toss and garnish with the fresh cilantro. Serve hot.